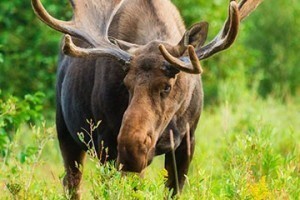 Enjoy a scenic chairlift ride or a thrilling zipline ride at one of many nearby locations. River-crossing zips, sky bridges, tree platforms and more on these aerial guided tours! Locations in Gardiner & N of Big Sky. ZIP ‘N DIP Packages (raft/zip) starting at $85! 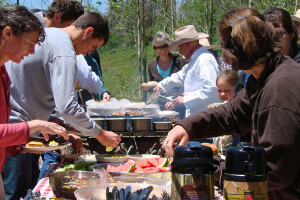 Plus 31 other exciting discounts on adventures for the whole family in and around Yellowstone! 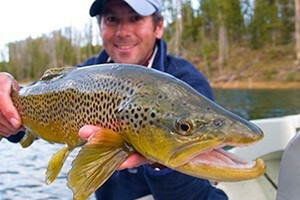 Get your GO Yellowstone Pass and Get Outside! 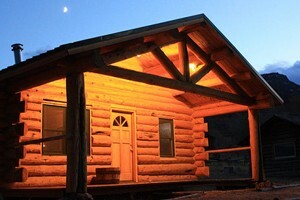 Lodges of East Yellowstone - Near the Zipline! 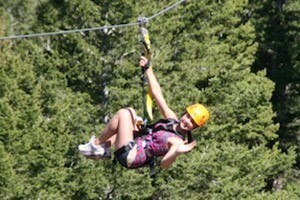 West Yellowstone's first ZipLine Park, just 3 blocks to Yellowstone's west entrance. 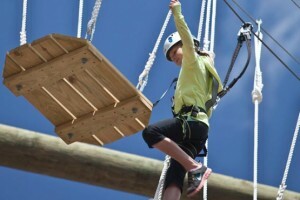 Thrill at over 1000' of ziplines, plus 49 different ropes, bridges & climbing nets. 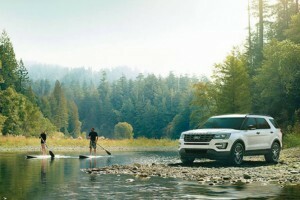 The perfect complement to adventurous zipliners. Renting Polaris, Kawasaki & Can-Am ATVs and Ski-Doo, Polaris and Arctic Cat snowmobiles. 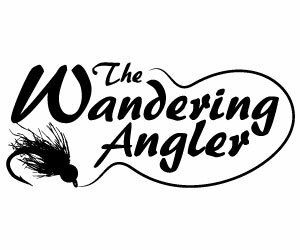 Local pick-up or can deliver to you. Ride the Dreamcatcher Lift to the top of Grand Targhee for great views of the Tetons, hiking trails, and mountain biking trails. Where can I go on a Zipline Ride? 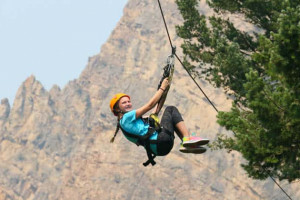 Big Sky, Montana offers two options for ziplining. At the base of Big Sky Resort, ride a series of ziplines that meander throughout the lower half of the mountain. Wave to your family below as you fly over the base village area. The ziplines at Big Sky Resort are open during the summer AND winter. Fly through the trees and even OVER the Gallatin River deep in the Gallatin Canyon, just north of Big Sky (May through September). 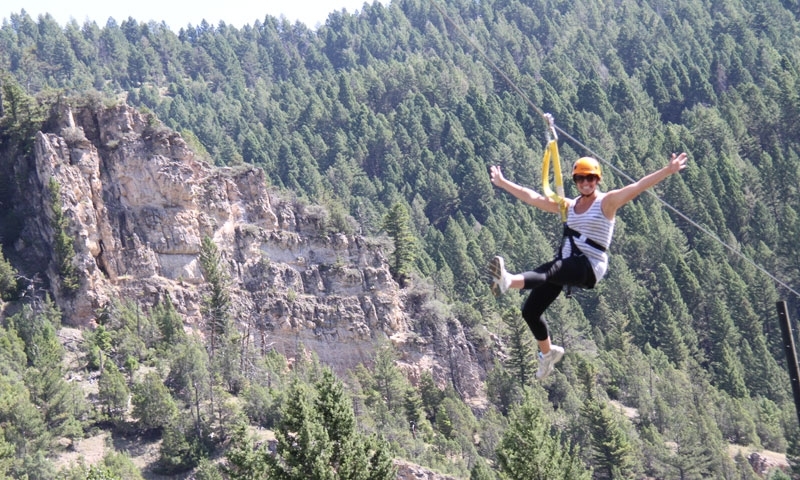 Yellowstone Zipline offers combo packages for ziplining and whitewater rafting. Where can I ride a Scenic Chairlift? A few nearby ski resorts offer scenic chairlift rides that link visitors to fantastic views, hiking trails, downhill mountain biking, and an Alpine Slide. Ride over 1,000 feet from the base area to Andesite Mountain. There are hiking trails at the top of the lift or you can continue on to the top of Lone Peak via jeep and tram. A fantastic network of lift accessible mountain biking trails is also available at Big Sky. Ride the famous red tram over 4,000 feet to the top of Rendezvous Mountain. Snacks and drinks are available at Corbet's Cabin at the top. There are also a few hiking trails and tandem paragliding rides in the summer. Lift accessible mountain biking is available on the lower half of the mountain via the Teewinot Lift. On the quiet side of the Tetons and just east of Teton Valley, Idaho, Grand Targhee offers scenic chairlift rides to the top of Fred's Mountain. From the top, you'll feel like you can reach out and touch the Teton Range. To get back down, just hop back on the lift, follow a hiking trail, or bring your mountain bike and take your pick from a few exciting downhill single-track trails. Overlooking downtown Jackson, Wyoming, the chairlift up Snow King Mountain is a great way to kill some time and enjoy epic views. Hike or ride the lift back down. From the base area you can also ride a shorter lift to access the area's only Alpine Slide.